On Thursday 3/23, I had that cool opportunity to do manicures for the Modern Salon editors. Did you know they actually include nail information in their magazine? I had no idea and was really excited to learn about how much they do for the business aspect of salons. If you do more than nails or own a salon, definitely check them out. On Friday 3/24 the show set-up was happening. You wouldn’t believe how much work and time go into getting everything ready to make it an amazing experience for the attendees. Saturday 3/25 was day-one of the show. The Nails Next Top Nail Artist (#NAILSNTNA) contestants made an appearance in the CND booth to be interviewed by none other than Jan Arnold and followed by a runway presentation and live demos right in the booth. A celebration of the Top 3 followed that evening on the roof of The Wit hotel in style! 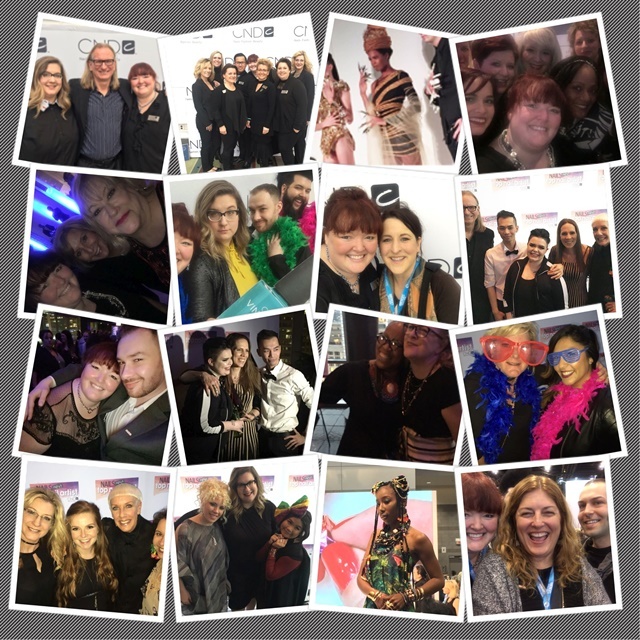 You can find photos by searching the hashtags #CND #NAILSNTNA and #AmericasBeautyShow. Big hugs and congrats to all three. With their talent and personalities we will certainly be seeing more from all of them. If you missed it, the big winner was Tracey Lee! Sunday 3/26, the second day of show, was definitely the busiest! What did you see that you loved? I was located in the CND classroom. My thanks to everyone who took the time to come down and say hello and/or grab a photo. It’s always wonderful to see you. Sunday night offered the Beauty Changes Lives Experience at the Art Institute of Chicago with a NexGen team that featured the nail styles created by NAILS NTNA Top 3. Things wrapped up Monday 3/27 with a final day of show floor and classes. I captured the class I was in on Facebook Live, as it featured some trend prediction with Jan Arnold, social media advice from The NailScape’s Ashley Gregory, and salon safety information from scientist Doug Schoon. You can view that on my YouTube channel.